• Cox username and password. - Allow the user to skip forward to the end of playback, even if there are less than 30 seconds left in playback. - When skipped to the end of the transport bar, give the user a small buffer by playing the last 5 seconds of the video. This app is mostly great when it’s working, which is about 70% of the time. My only complaint when it’s working fine would be that I wish I could rewind shows/movies or “play from beginning.” On the other hand, when it’s not working, it’s constantly crashing or telling me I’m not connected to WiFi. When it tells me I’m not connected, I do the usual sign out/sign back into WiFi, close app in background, restart iPad, and/or delete and redownload app. Nothing works. 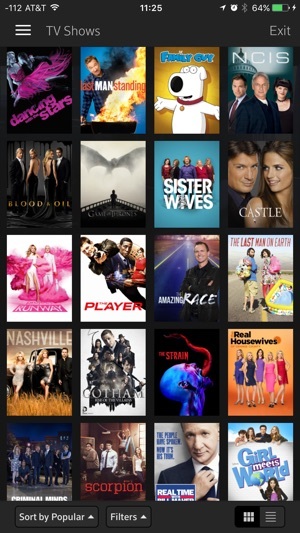 It tells me I can watch a few selected channels, but not all the channels I pay to watch. The funny part is, I am connected to WiFi because my iPad is WiFi only. And my WiFi is working perfectly fine because I can watch the list of allowed off WiFi channels. It makes no sense!! And talking to anyone at or related to Cox is pointless because they look into the problem and tell me, “everything is fine, I don’t know what’s wrong. It must be on your end somewhere or apples fault *shoulder shrug*.” I’m at my wits end, and don’t know what to do. I just want it to work. We're sorry you’re having trouble with WiFi detection issues. 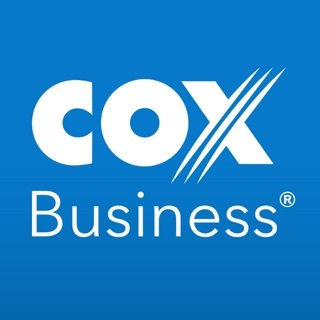 Please call Customer Care at 800-234-3993, email us at apps@cox.com, or tweet us at @CoxHelp so we can try to troubleshoot your specific issue further. Update 22 April..... Well you guys dropped another “update” last week. Figured I would give it a bit and see if “quality” was anywhere in the neighborhood. Nope. Still big lags in performance on a top of the line iPad. Perhaps the programmers could learn to pump gas for a living? Doctors practiced the way you program and cemeteries would fill. Cox: Later this year you are getting a competitor in my area and I will no longer be stuck with you as my only choice for TV/Cable. Up your game if you want to have a shot at my business. Your “upgrade” 3 days ago was a bust, as usual. Uninstalling and reinstalling (1 week old iPad Pro with lots of memory— no hardware excuse available to Cox). Response to my current review is a Cox cut and paste from last March! HomePod is not the same as AirPod. 1. Still mistakenly prevents me from access when on my home wifi (and no VPN). Did everything including reboot multiple times. 2. Still denies the ability to play the audio through a HomePod speaker. Adjustments to the interface with the last “update” make the user experience worse. Please take more pride in your design and coding. Why not just drop Cox? Cox has a monopoly in my area, so I am stuck with you. Hi Michael, we are a bit confused I think. We shouldn't have any restrictions with Airpod speakers - we just tested it again. We do however have restrictions with AirPlay to another screen. Are you having issues connecting just to your AirPods? If you wish to speak more directly with us while we figure this out with you, you're welcome to email us at apps@cox.com. Thank you for your patience! 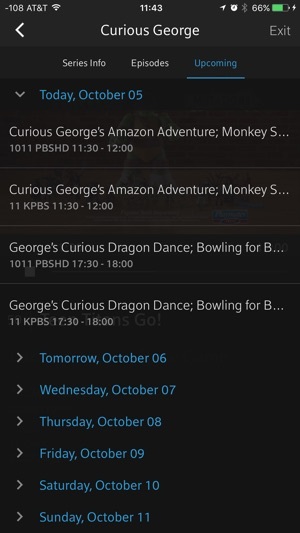 This app has definitely improved from a year ago but I am still left disappointed that you can’t access your recorded shows. 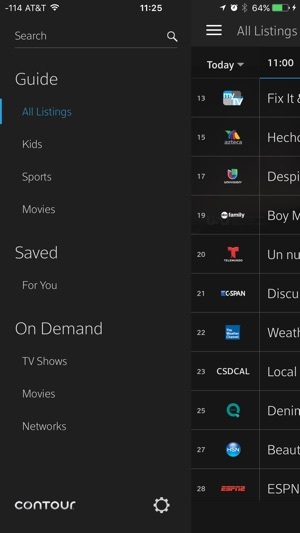 This is the main reason that I cannot wait to switch back to Directv because their app allows you to not only watch shows from the app but be able to search for your favorite shows and record them from the app itself. It also allows you to download all your recordings onto the app to watch when you’re not connected to WiFi. In regards to this, the Cox app just does not compare and as someone that is always on the go, the mobile app is a deal breaker for me. If Directv is capable to have all those features, there’s no reason Cox can’t make the effort to do the same. We are planning to provide this feature in the near future! 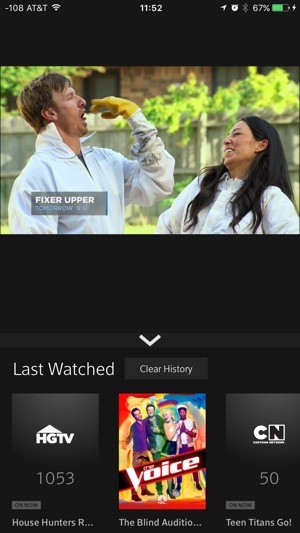 For now, you can set DVR recordings from a separate app, the Cox Connect app (formerly known as "Cox Mobile Connect"). 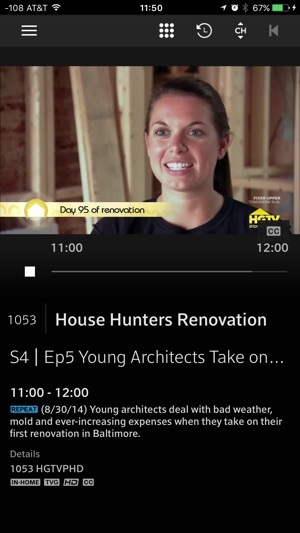 Cox Connect can also be used to do other things too like check your account balance, pay your bill, manage your home phone, listen to voicemail, and find both Cox Stores and our public Cable WiFi hotspots.